Honestly I don't have any idea about Watsons Health, Wellness and Beauty Contest. But as what I received from a mobile text I won from Watsons Personal Care Store, Inc. worth PHp1,000 shopping spree gift card. First, I am skeptical about the message because of a TEXT MESSAGE SCAM circulating on mobile. But the number indicated on my mobile is so familiar since I've been a part of Watsons Davao for almost five years. So I've made a returned call and VIOLA! It's TRUE that I've won such PRIZE. 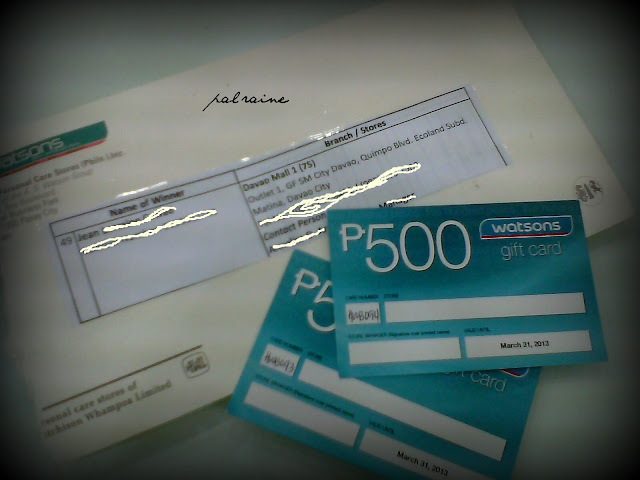 The next day, my mother and I went to SM-Watsons Davao to claim my prize. According to the person assigned, there are 50 lucky winners in the Philippines and only TWO winners coming from Davao City. And I am one of the lucky winners here in Davao. 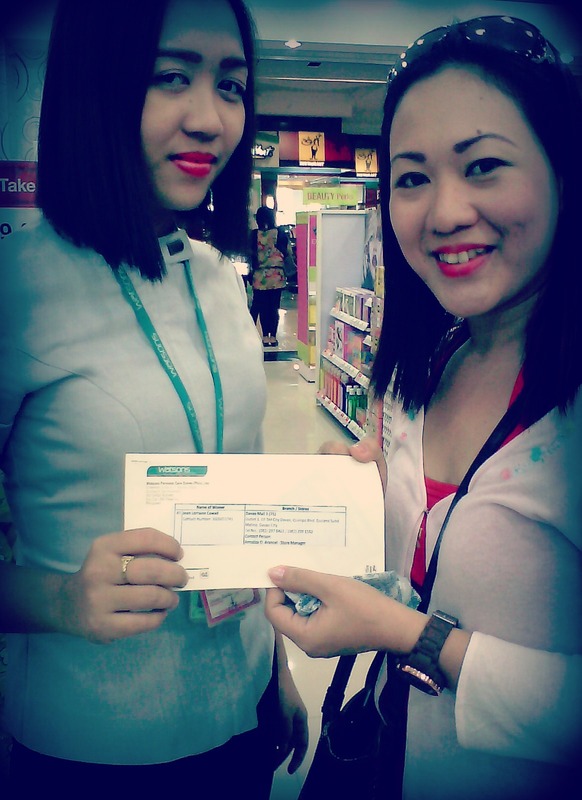 But before she handed me my prize she ask for two valid I.D's, so I gave her my POSTAL ID and PHILHEALTH ID. So happy to receive my winning prize yesterday. And eager to see what is inside the envelope. hahahahaha.....Shopping Spree GIFT CARD worth PHp1,000 only. How to use WATSONS GIFT CARD? The Watsons Gift Card can be redeemed from any Watsons store and will not be accepted in the Beauty Section within SM Department Store. Not convertible to cash or not replaceable when lost, stolen, or expired. Full value must be consumed in one transaction less than the face value. May be combined with other tender and must be surrendered to the cashier upon payment. Cannot be used in conjunction with other promotions, the likes of Watsons B1T1, Beauty pack make-up, and Watsons discounted items. Well the procedures sounds familiar to me. hehehehehe....I've even taught their Cashiers how to use it on the POS. Still I recall my past work at Watsons Philippines. Here I used my PHp500 Gift Card only since I still have another month to use my other Gift Card at Watsons. 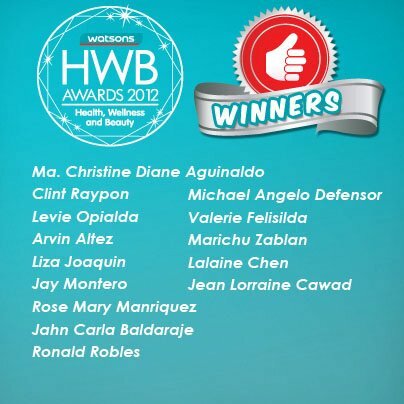 THANKS AGAIN WATSONS PHILIPPINES, I really appreciate this very unusual and surprising gift. At least now you can buy beauty products for free. Congrats! Congrats! That P1,000 can go a long way especially with toiletries and medicines at Watsons. I love gift card. Just a while ago I got a gift card from K-Swiss for downloading a perxclub apps and got my reward. Congrats. Hope I can win some shopping gift certificates too! Lucky lucky you, sis!! A big congrats!! Nice! 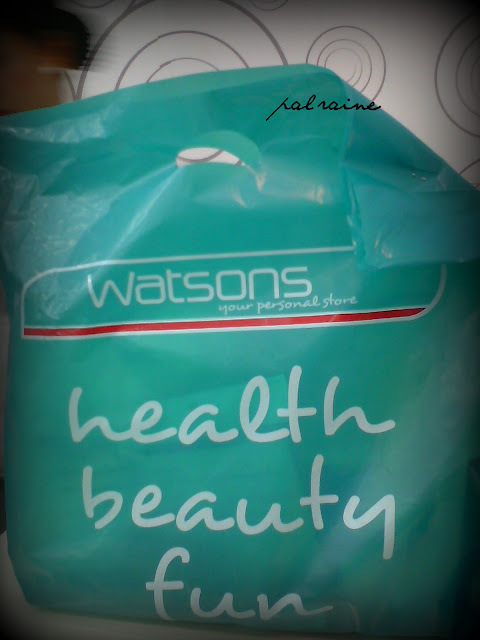 :DD I love buying from Watsons:D I always wish they would open a branch here in Zamboanga :( Congrats sis! Congrats at marami ka ring small items na nabili dyan. BTW ano past wrk mo sa Watson. lucky you!!! we don't even have Watsons here in Gallup, NM!!! bundok kasi lol!